I would like to update you on some developments within the Management Committee and offer some updates as to what we are working on. Weather conditions have been reasonable over the winter months, with lower than average rainfall and reasonable temperatures. We hope that we will get a reasonable season with good winds and good sailing conditions. There seems to be a flurry of activity within the boat park and it looks like the sailing season for 2019 is well and truly upon us. Given this, I should get my boat completed which will take a little longer yet. It’s great to see several members attending to their boats and preparing them for the season ahead. Water levels are continuing to rise and we would hope to be full by Easter. After this time Severn Trent will lose the opportunity to abstract water from the River Derwent due to licence restrictions. Currently it is at around 92% capacity. 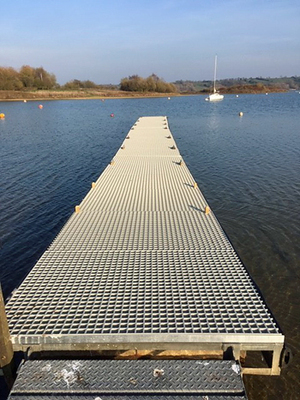 • Refurbishment of the North Jetty with non-slip grating to ensure it remains usable for the foreseeable future. This work is being completed by several volunteer Club members and staff and I will be writing to them to thank them personally for their efforts. Unfortunately, due to GDPR regulations they cannot be named here, but my thanks on behalf of the Club to all concerned who helped complete the project. The Club were successful in obtaining a grant to cover the cost of the purchase of the materials for this from the Carsington Reservoir Fund (CRF) and as such it will be completed with little cost to the Club. Our thanks to the CRF for providing this funding. • Several sub-committees have been formed to deal with the various matters arising. This includes a Development Plan Sub-Committee, Training Sub-Committee and Social Sub-Committee. This complements the existing sub-committees which we have in place, such as the Web Team. It should be noted that sub-committees can consist of sailing club members that have the relevant experience we require. Sub-committee constitution is voted at Management Committee meetings. • The Club Development plan is currently being written and much progress has been made on this. We should be in a position to present this to the Management Committee at the next meetin on Maundy Thursday for review and comment. There are several areas that we wish to develop including diversification and these are being discussed and agreed within the MC. We have involved Severn Trent as our lease terms have certain restrictions and a meeting has been held to discuss this diversification and development for the club. As part of this we will be issuing a survey for members so you can all be involved in this process. • A formal policy regarding the handling of complaints, and to complement Club Rule 4, has been written and will be available in the next month or so. We have had an increase in the number of complaints and would hope that these decrease as it takes time away from our priority work areas. This document has been written using RYA guidance and will give members a formal process by which their complaint will be handled and a timescale for it to be completed. • We can now offer the opportunity to stay on site for certain occasions, for those Members who have motor homes or caravans. There is a strict requirement for the Club Manager to be on site while this occurs and any event where accommodation is offered will be in prior agreement with Ceri. We intend to offer this approximately once a month, for some socials and for the larger sailing events. There will be restrictions particularly on the number of caravans allowed, due to parking. Updates will be available on the website. We hope that this will improve the social scene at the Club, coupled with the events that are going to be run this year. • As part of Club development, we would like to offer keelboat sailing and associated match racing, if it proves popular. We are looking at how we could implement this without considerable cost to the Club. Our aspiration is to eventually be able to offer fleet racing with boats such as RS21’s or Laser SB3’s. Currently we are exploring options, as the RYA run a series of events. In the meantime, we would like to get the squibs refurbished (sails in great condition) and could do with some help on this if you have the right skills (woodworking, epoxy repair work and painting) Please email myself or Ceri if you wish to get involved (commodore@carsingtonsc.co.uk). Any club boat maintenance on site needs to be carried out in consultation with Ceri. • Membership renewals- We have moved to an online system which works through the club database. This had to be implemented to help reduce the admin. It seems to have been well received by many members. I appreciate that some members still wish to pay through the club office which is still possible, and I have heard that members have been incorrectly informed that cheques are not acceptable. Our apologies for this. Cheques are still acceptable, as is payment by card at the club office. We recognised there would be some teething problems which we hope will be sorted for next year as we are working with the developer on this. I would again like to apologise for any issues you have had but hope that you bear with us in getting this sorted. 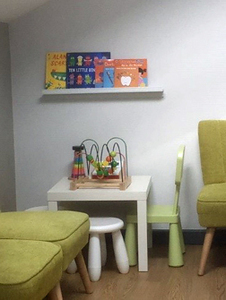 • Clubroom- We intend to put a simple children’s corner in the clubhouse as we had previously. This will have a few toys and some books. The wooden boat which is currently on the patio will be moved to the grass area in front of the changing room and has had some repairs carried out. • We have agreed with Severn Trent Water that the exterior of the clubhouse is their responsibility as are the steps at the rear of the building. ST have agreed to sort the steps and to paint the exterior of the clubhouse. The club is responsible for all other upkeep such as fixtures and fittings under the terms of the lease. The repairs should be completed in the next couple of months. • Easter- Social event arranged. Please have a look at the website for details. 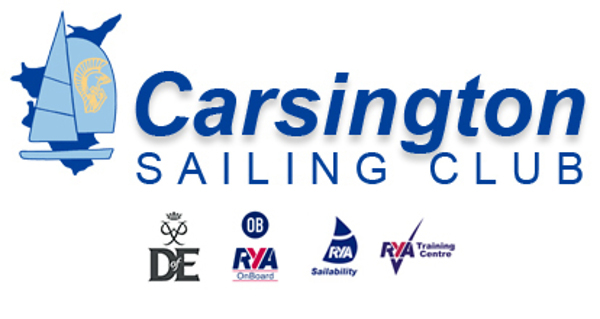 • Safeguarding- New guidelines have been published by the RYA and the MC have updated the club documentation in line with this. The updates are available on the website and we would encourage you to read these documents as they concern everyone at the club. We would kindly request that parents accompany their children while in the changing rooms at the club. • Staff- We have placed an advertisement for an Assistant Manager. This was placed on the club noticeboard in line with club rules. We hope to have a new assistant to the manager for May 1st. I look forward to seeing many of you around and I’m often at the club on Saturdays. I will keep you updated as often as I can but hope that you will appreciate it’s been a busy time and there’s still much to do.